Wittenborg Online: Wittenborg Students ready to fly to Shanghai for International Project Week. Wittenborg Students ready to fly to Shanghai for International Project Week. A team of nine students from Wittenborg University will fly off to Shanghai on Friday as part of an international project week, co-organized with Wittenborg’s partner in China, the Shanghai Business School. 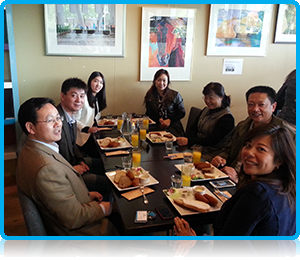 The annual Chinese Business Field trip has now become a firm fixture and highlight on the Wittenborg calendar. This year the group will consist of undergraduate (bachelor) students and one Master of Science student. They will travel from the 30th of May until the 8th of June. During the trip students are required to record their adventures and send regular news updates and pictures of the trip. Whilst in China they will also take part in a “Study in Holland” fair and will be involved in the decoration and promotion of the Netherlands as a study destination. In the meantime, an exciting programme has been organized for participants. Their first two days in Shanghai will mostly be spend getting acquainted with the city and visiting museums and other tourist attractions in the vicinity. Shanghai is a truly international metropolis. It serves as the most influential economic, financial, trade, technological and cultural hub of East China. On top of the traditional tourist experience Shanghai offers, students will follow several seminars, make company visits and experience life in the city. 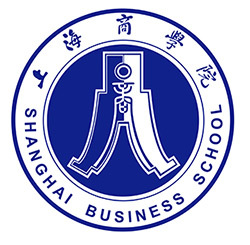 On their third full day in Shanghai the group will have the chance to meet and mingle with local students on the Shanghai Business School’s campus. They will even get a lecture in Chinese calligraphy! There will also be a chance to spend day with a Chinese student and experience the family life of ordinary Chinese. The Chinese field trip trip comes after a successful visit from high-level education officials from the the Shanghai Business School to Wittenborg Univesity a few weeks ago. Upon their return students will have to reflect on the trip by means of report written from a group and personal point of view as well as doing presentations as part of a study week project. They will also be required to give recommendations and suggestions to make future field trips to China even better!